Fanatical currently has 20% Off the Pre-order. My problem will be whether I should get Total War: Thrones Of Britannia or Battletech first, next month. I think TW comes out a couple weeks earlier. Most notably - I don't know which one will need more patching after release. Hrmm. TW always needs some, but the Battletech devs have never released a game as sophisticated, and containing an open campaign, so .. hrmm. I got my HTC Vive being sorted out... and this will support it. It's alright. Elite Dangerous is pretty good with it. Apparently Il-2 Battle for Stalingrad is too. Works best for games where you are sitting in a cockpit, I think Mechwarrior would be perfect for it. Using the VR screen to play an ordinary game - which you can do, you see a virtual monitor in front of you - is much worse than an actual monitor. I don't think VR is quite there yet for truly mass appeal though, though it's good for a certain class of game. I don't have any VR only games yet though, I imagine it'll work better with the actual controllers as intended. I've heard a lot of people complain of getting headaches while using VR headset in flight sims. The headache is real. Apparently in general you kinda get used to it; it's the same sort of headache you get sometimes if you have a new pair of glasses. In theory VR headsets are better for your eyes than a monitor is as you're not focusing on a point close to your head, your eyes should be staring into the distance or at a point in the middle distance most of the time. In theory. Some things exacerbate it, like playing an FPS with WSAD and a mouse, AND a VR headset. Like Alien Isolation : it's just a mod on the base game, so it plays identically, except instead of the monitor its piping it to the headset. That throws off the brain or something and gives people motion sickness. Certainly did for me. I was messing with it for four hours yesterday - yup, headache, big time. Mostly from 30 minutes on Alien Isolation I think. OTOH I played a boxing game for an hour earlier, which was designed for VR not merely a mod for a standard game, using the VR controllers, walking around the room and such - no problem at all, and despite the cartoony graphics it felt way more immersive as well. I guess the brain was better fooled. It ain't the best thing since sliced bread. It's a fun curiosity, that's suitable for certain games (I think Battletech is one, hence my excitement). I would not recommend it unless you're really into the concept - that said we're talking, at least as far as attempting to sell to a mass market is concerned, first generation technology here. Some of the apps for it, like BigScreen, are awesome. Some of the games for it, like Elite and this boxing thing, are awesome. But... it's just not quite there yet hardware wise, I would say. Headset too clumsy, resolution not quite good enough, field of view too small (looks like the view from a big diving mask or something), setting it up is a bit of a bear, it's delicate, it needs configuring, etc. etc.. What we have now is a foretaste of things to come, I would say. In ten years it'll be awesome, right now it's borderline, and ideally you want games and software designed for it, designed for the controllers and not a mouse and keyboard, which is all beta early access right now. Like, BigScreen lets you watch stuff on a virtual monitor the apparent size of a screen in the cinema. Sounds awesome. Only problem is the resolution on the headset isn't good enough to actually give you that level of detail so you get a big blurred screen. Only slightly, I mean it's not unusable by any means. It's just... not as a crisp as a monitor, and you want crisp. You can see that one day it's gonna be great when you're not limited by the physical size of a monitor, and when the headset isnt some humungous cyberpunk thing you gotta wear - it'll be more convenient. But that day is not today. 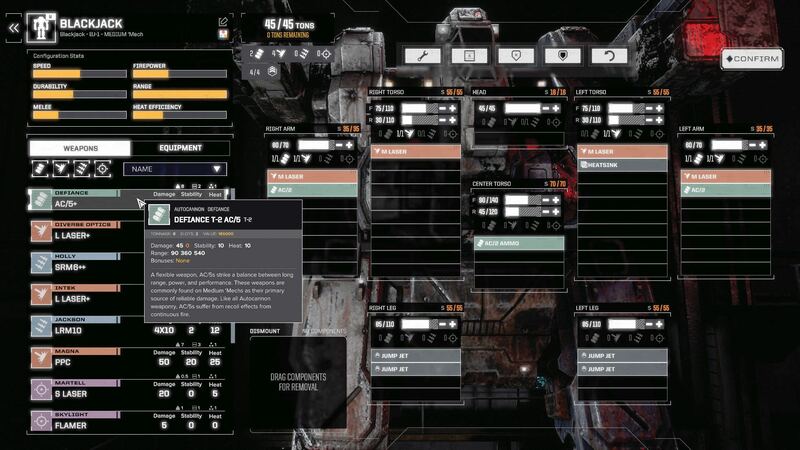 No I meant the Battletech, looks good but not 100% convinced yet. I prefer VR for two things: strategy games and flight sims. Flights sims are nice in that you have a fixed frame of reference around you to reduce any nauseating disorientation. Strategy games are nice for having a reasonable fixed top down view while being able to tilt it around with your head - as long as the camera rig itself isn't turned but only translated/moved above the map while maintaining top down orientation. The sense of depth and things like buildings standing up give these games a nice flavor. The resolution is generally poor and it's made even worse for those that have great eyevision such as myself, I have a spectacularly sharp vision and it makes the Screen Door Effect even worse. In this regard it would be great to have less precise eyes. In fact I've yet to find a situation in life where eyesight made any difference since folks blind as bat still shoot better than me at the range too. Nausea and headache are subjective symptoms. Some people don't like the weight and have weak neck and it causes headache through strain. I wear helmets daily and have a strong neck so that's not my personal problem but a very real consideration for many although one that can diminish with training. Other people have all manner of other causes such as the conflict with perceived depth and the distance to object - your brains are telling you to focus, say, 5 feet away but the image is actually 2 feet away so your eyes are focused at different distance than the object appears to be at. For me this is no problem but for others it causes severe migraines. In general there are many subjective issues people can have with this kind of tech. As for true torture, there's nothing like strapping a guy to a chair while using a mouse to control the camera aim and then setting sensitivity to high and jerking the mouse all over the place.. That's truly horrible and it's already very unpleasant when you control the mouse or pad yourself but nothing compares to sudden unexpected jerking of the camera combined with rapid rotations. VR can be great, especially when used appropriately. I just don't see why people like Elite. It's like being a virtual truck driver in space, hauling cargo hours on end while staring at black screen with two orange lines and a timer that unintuitively doesn't change because the devs couldn't figure out the math for actually making the ETA count the actual ETA.